It’s almost spring. You know, the time when flowers bloom and birds sing. Ah birds…you know, that reminds me. 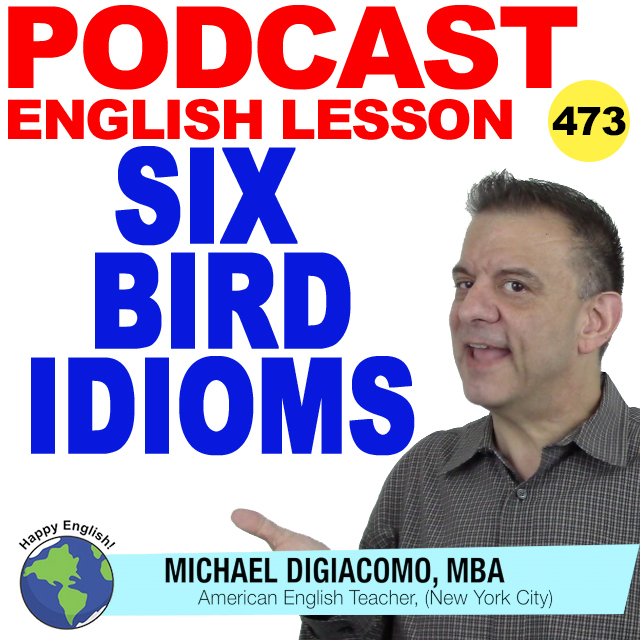 In English, we have a lot of idioms about animals, and since it’s almost spring, how about we take a look at some bird idioms! Are you ready? Let’s check it out! Jenny is a night owl. It’s hard for her to wake up early. I was a night owl when I was in university, but these days I’m usually asleep by 11pm. That scary movie last night gave me goosebumps. I got goosebumps when I sat in the roller coaster seat for the first time. The bullies in school were teasing Johnny but it was like water off a duck’s back because he’s a strong willed boy. Even though the boss was yelling at me for missing my sales target, it was like water off a ducks back. I know I’m a good sales person. I just had a slow month. It seems like Tommy was too chicken to ask that girl for a date. There is no way I’m going to ask the boss for a day off. I admit it. I’m a chicken. I finished my final exams and turned in all of my papers, so I am free as a bird. Kathy finally broke up with her boyfriend, so she is as free as a bird. You should ask her out for a date. The new salesman in our office is a nice guy, but he is a bit of a birdbrain. I had to tell him three times how to log into the database system. Jenny’s new boyfriend might be a good looking guy, but he’s kind of a birdbrain.